Q: I want to know what the tax consequences would be if someone won $500,000 in cash plus a property worth $2 million. Contests sound wonderful and the prizes promise great gain, but if one cannot maintain a $2 million dollar home, I am assuming that there would be no provisions in the sweepstakes to keep the winner from selling the property. Would the $500,000 turn into a more realistic figure of around $300,000 after taxes? I can find no other web site that seems to come close to offering information pertaining to this subject. And if I sell the home, what would the taxes be on the sale of the home? A: We have actually answered this question in the past. If you won a $2 million dollar home along with a cash prize of $500,000, you’d have total winnings of about $2.5 million dollars. Those prize winnings are taxable to you. With that, you would owe the federal government about $850,000, which is actually more than the cash prize that was won. You would probably have to sell the home just to be able to pay the federal income taxes. Depending on the state in which you live, you would probably also have to pay state income taxes. If the federal income tax level for the top tier increases to 39.6 percent, you would expect to pay about that amount of the total winnings to the federal government. Today, the top tier is a bit less, but in either case, you could expect a huge tax bill to the federal government plus write a substantial check to the state government as well. By the way, if you do win a home worth $2 million dollars, you’ll need to earn a considerable amount of money to just pay for the utilities to heat and cool such a home. Along with the costs for utilities, you will also have to pay quite a bit in property taxes. In some parts of the country real estate taxes approach 2.5 percent of the property’s value. In the case of a home that’s truly worth $2 million, your property tax bill could reach $50,000 per year. Finally, since you won the home and you paid tax on the home on the basis of it’s fair market value, you probably owe tax on sale between the difference in it’s fair market value from when you won it and when you decided to sell it. In the case of the $500,000, you paid tax on that money and you don’t pay any tax when you dispose of the money. By the way, if you won the home at a time that real estate values were higher than they are now, you would probably have a “loss” on the sale of the home. 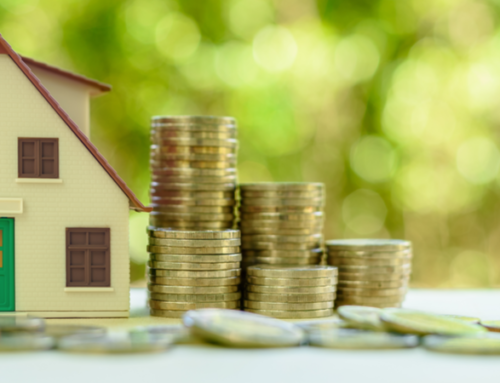 On the other hand, if you won the home when values were low and they increase, if you keep the home at least 2 years and use it as your primary residence, you can exclude from tax $250,000 if you are single or $500,00, if you are married. So would you be better taking the full cash option instead of the house?